Sega has seen your SNES Classic Mini and wants to raise you a mini version of the Genesis (or Mega Drive, as it was called outside the US). 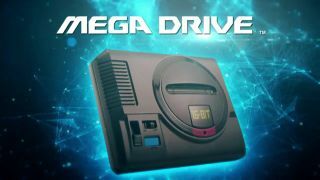 The Mega Drive Mini was just announced by Sega in Japan, though as yet we don't have any full details on it – only news that it's coming, plus a few pictures from an on-stage demo. We don't know how much it will cost, which countries it will be sold in, or which games will be included, but on that last point Sega seems to be taking suggestions from gamers. If there's a classic title you want to see return, speak up. The indications are that the rebooted classic console is going to go on sale this year, in Japan at least. As soon as there's any other details from Sega, we'll be sure to include them here, but in the meantime you'll have to content yourself with a snap from the Sega Japan Twitter feed. At the same event, Sega has also announced that updated versions of its classic titles Shenmue I and Shenmue II are heading to the PlayStation 4, the Xbox One, and PC. Again, that's going to be happening this year, and Sega says the updated games will be available in both physical and digital form. We do have a bit more to go on here, in the form of a trailer with pre-release footage. According to Sega the games will come with Japanese and English voiceovers and an updated user interface. With Shenmue III now on the table after a crowdfunding campaign, it's going to be a very good year indeed for fans of vintage Sega gaming, as if there weren't enough new titles to be playing anyway. The Sega event is still ongoing, so if there are any more announcements, we'll bring them to you here.